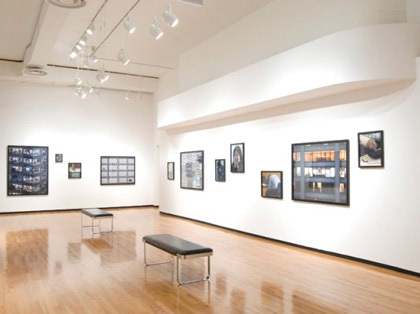 The MoCP provides educational opportunities for students interested in the museum profession and related fields by employing both graduate and undergraduate students from Columbia College Chicago. Interns at the MoCP receive comprehensive practical experience at an AAM-accredited museum. These paid internships provide students with a professional skill set helping them to acquire competitive jobs after graduating from Columbia College Chicago. Graduate and undergraduate student interns engage in all aspects of planning, development, and installation of the museum exhibitions. Interns also assist the professional staff in exhibition documentation, security, general research, collection preparation for archival storage, general tours, front desk reception, clerical duties, museum maintenance, and errands. If you are a current or incoming undergraduate student at Columbia College Chicago interested in applying, please send a resume and cover letter to: sconaway@colum.edu. If you are a current or incoming graduate student, please send a resume and cover letter to: ktaylor@colum.edu.